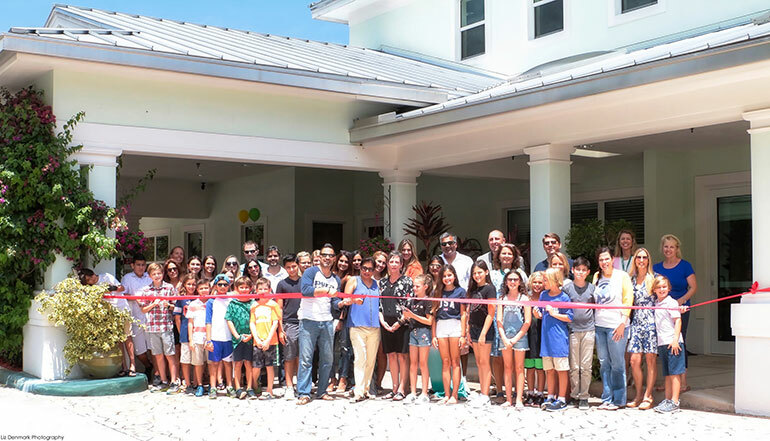 Jupiter, FL – August 15, 2017 – Turtle River Montessori School hosted an open house and ribbon cutting ceremony to welcome the new families, students––and to officially open doors to its new High School. Since 1994, Turtle River Montessori School has been providing students with the unique learning environment based upon the philosophies of Dr. Maria Montessori, developed over a century ago. The Montessori Method embraces a child’s natural desire and abilities to learn rather than forcing them to adapt to a “one-size-fits-all” curriculum. In addition to making learning exciting and stimulating, the Montessori Method equips students with lifelong “learning tools” and “confidence.” The school and its program focuses on the growth of the child as a “whole,” rather than just the rigors of academia. As such, a Montessori education helps a student achieve their full potential. “The high school discourse will have a solid foundation built around STEM (Science, Technology, Engineering, Math). Students will graduate as highly competitive and resourceful individuals, capable of meeting some of the world’s greatest challenges,” says Dandiya. Indeed, Montessori schools have produced some remarkable individuals during the past century. The short-list includes notables and CEO’s/founders Jeff Bezos (Amazon), Jimmy Wales (Wikipedia), Julia Child (chef), Sean “Diddy” Combs (singer/record producer), Dakota Fanning (actress), Anne Frank (diarist), Prince William, Jacqueline Kennedy Onassis, and Prince Harry. The cofounders of Google (Larry Page & Sergey Brin- Montessori graduates) both attribute Montessori schooling to not only being a creative self-starter, but also in being self-directed. Montessori graduates also lay-claim to be the youngest Noble Peace Prize nominee, Rhodes Scholar, and art exhibitor at the United Nations. “The Montessori educational approach might be the surest route to joining the creative elite, which are so over-represented by the school’s alumni that one might suspect a Montessori Mafia,” writes the Wall Street Journal. “We are anxious to see the new high school students thrive in the Turtle River Montessori environment,” said Dandiya. Turtle River Montessori School (TRM) is pre-school through high school. TRM is committed not only to its strict adherence to the Montessori Method, but also in being in a class by itself among educational facilities. The teachers are professional, caring, nurturing, encouraging, and have a strong commitment to the students, their families, and the community. The cohesive bond of these elements creates a standard of excellence which is truly unparalleled. TRM is accredited by the Association of Independent Schools of Florida (AISF), involving rigorous evaluation of our methods and the maintenance of high educational, ethical, and professional standards to provide the best educational experience possible to all students. The new building, build in 2009 is proud to be a LEED certified building (Leadership in Energy and Environmental Design). LEED certification is a worldwide standard for “green building standards,” which contributes to environmental stewardship through efficient resource consumption.